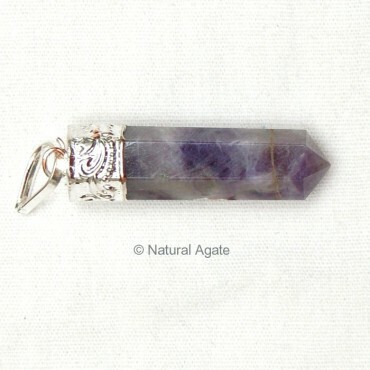 Amethyst Cap Pencil Pendant from Natural Agate is 30-60mm long. The pendant will help you to heal insomnia. If you are trying to give up an addiction then wear this pendant. It will assist you in curbing you desire.